There are three different types of Scrum meetings conducted in any of the sprints held in scrum development. All are really important and have a key role to place in the sucessful outcome reached. The beginning of a sprint is marked by an 8 hour marathon meeting called the sprint planning meeting or sprint kickoff meeting. It has two parts of four hours each. The first part is used to identify the features that are to be included in the sprint. The second half is used to make rough estimates of time required for each of the features for analyzing, designing, coding, testing and documentation. Basically this is a good example of project planning in teams. So the total time required to complete all the features in a sprint is calculated. If it does not seem possible to complete all the selected features in that sprint, a priority list of the features are made. Then the important features are retained and the less important ones are dropped from that sprint. Please note that the role of the business Analyst in this meeting is absolutely vital as they will have a clear understanding of the requirements in terms of the business requirements documentation (BRD) and project management requirements. Have you completed yesterdays task? Which task will you take up today? If any team member faces a problem, then the others will help him to solve it. If they are unable to, then the Scrum master will get it resolved. At the end of each sprint, the team sits together for an essentially informal meeting. This is called a sprint review meeting or sprint retrospection meeting. As well as the team members, some of the members of the management team as well as end users and project management stakeholders will attend. Further some of interested software engineers may also participate. The purpose of the meeting is to compare what was delivered by the team against what they had agreed to achieve in the original sprint planning meeting. This meeting should require minimal preparation time as it is more of a lesson learned exercise. In this, team members share the challenges that they faced in the sprint and how they overcame them. From this the lessons they learnt can be detailed which will helped them and others in improving their performance going forward. 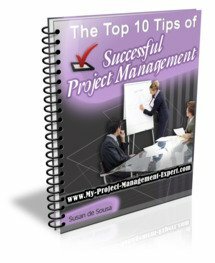 It will also undoubtedly ensure that there is more effective project management resource allocation on the next project! No one likes meetings and they need to provide a decent level of information and direction for team members to attend regularly. Hence the daily sprint meetings need to be kept to the point to make sure they are over in 15-20 minutes time. Please note that whilst it is always more effective to have team members there in person at the daily sprint meetings, where offshore teams are involved this is not possible. Therefore holding a daily sprint via conference call is more than acceptable as long as it is kept on message and people arent allowed to ramble off topic.